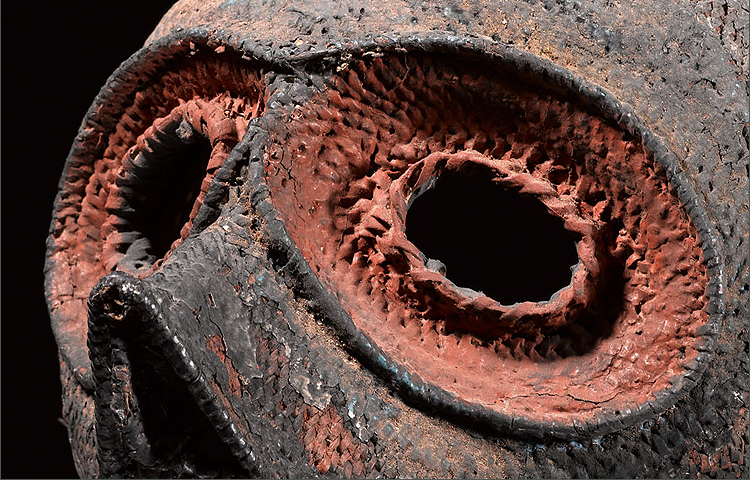 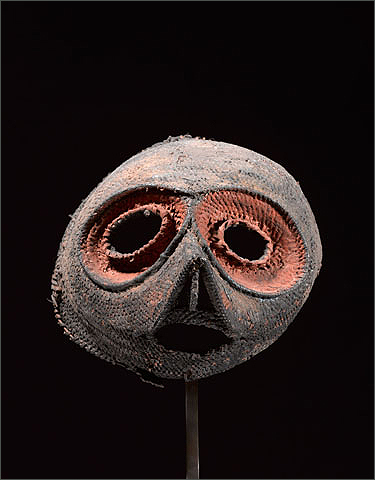 With its exaggerated upturned nose and large eye orbits, this mask is a rare and dramatic example from this region. 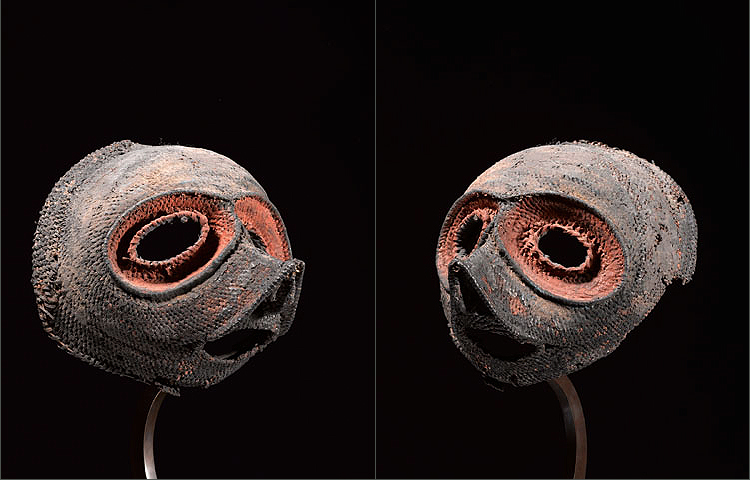 The septum is pierced and the weave is very tight suggesting an early traditional period of creation. 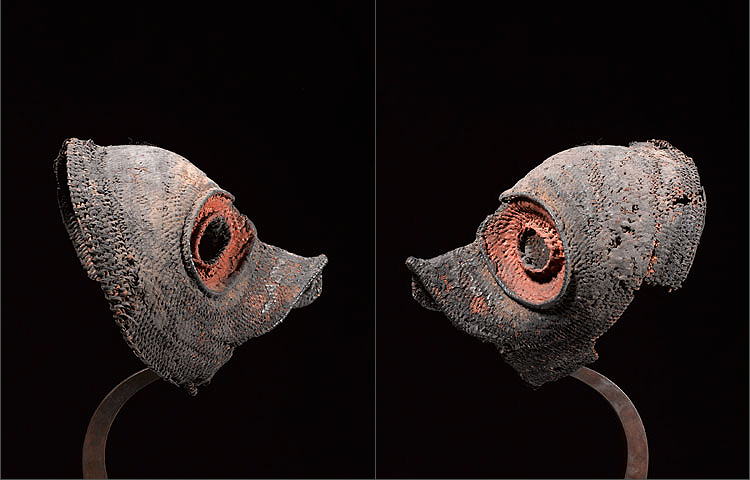 There is a subtle smokey patina over the mask from storage, and even though this mask possesses great age the pigments are still vibrant and intact. 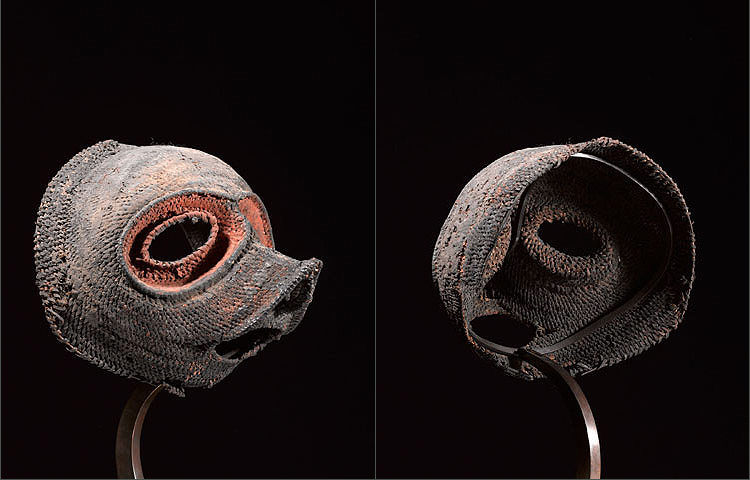 This mask is 8 inches tall.